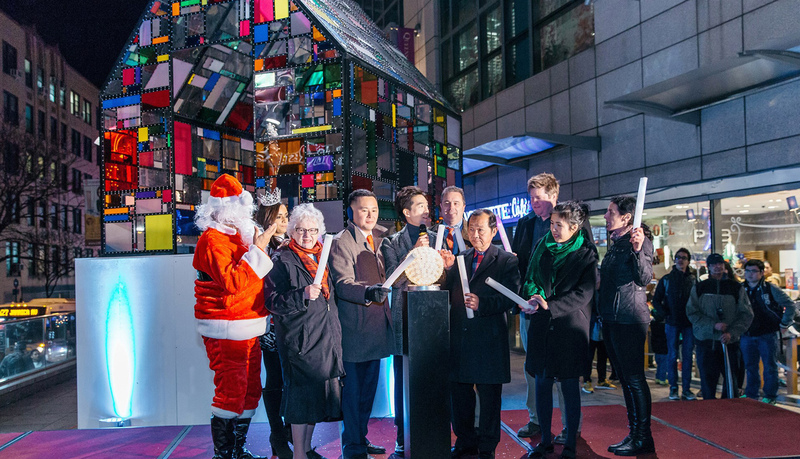 For the 10th consecutive year, Queens Crossing brings downtown Flushing an innovative Christmas art installation to energize the community and usher in the holiday season. The annual unveiling has become a renowned tradition for those who live and work in the neighborhood. 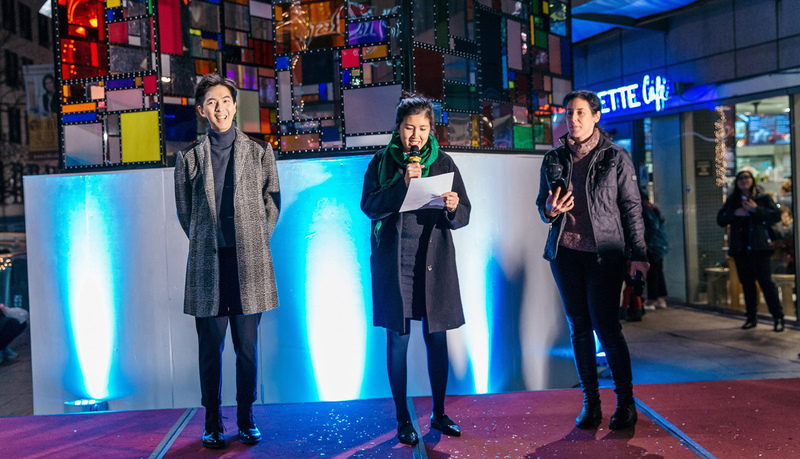 To celebrate Queens Crossing’s 10th Anniversary, Queens Crossing and Crossing Collective presented Tom Fruin’s 2017 Christmas Art Installation “Luz de Maxikiosco”. Luz de Maxikiosco was originally built in Argentina, entirely constructed from hand-cut and hand-welded steel frames with a thousand reclaimed plexiglass panels, and millions of steel rivets. Illuminated by the sun during the day, its colorful reflection softened the unfriendly urban environment and provided a new identity to the space. 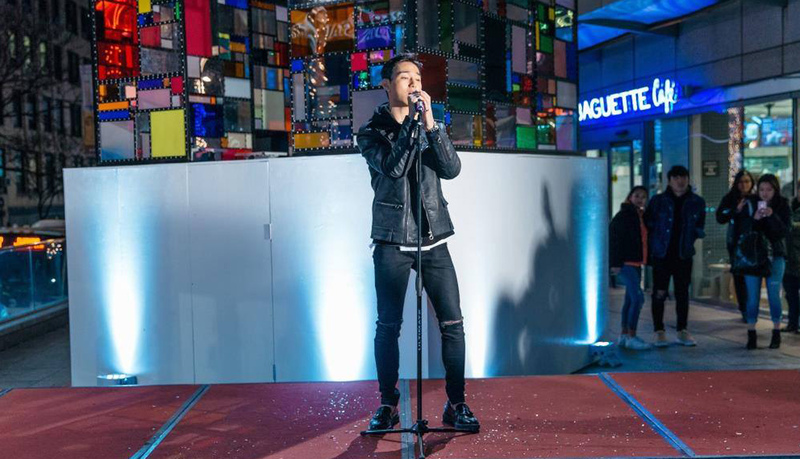 At night the piece came alive with dramatic LED lighting. 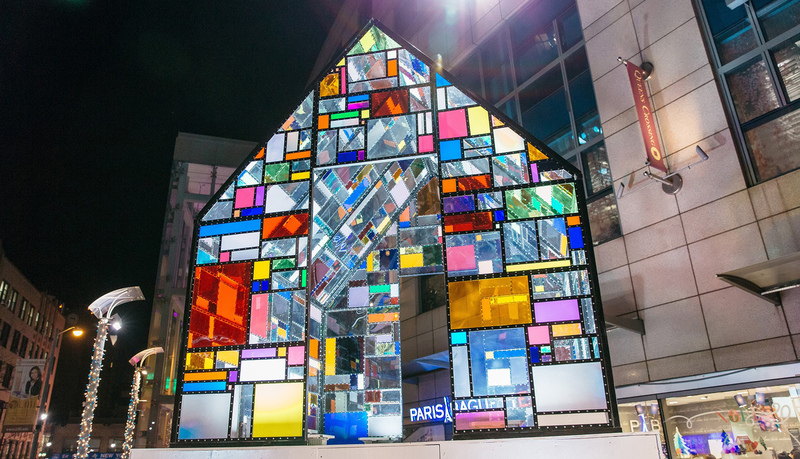 The vibrant colors projected out every direction, casting colorful hues on the surrounding buildings and the space. Those colors also represented the vibrancy of Flushing as a community and Queen’s identity as one of the most ethnically diverse boroughs in New York City.